Gun Runner won the Pegasus World Cup by 2 1/2 lengths. 2017 Horse of the Year, Gun Runner, topped off his racing career by winning the Pegasus World Cup today in Florida. The 5-year old chestnut colt ran a tremendous race, pulling away from West Coast in the stretch and bringing home $7 million of the $16 million purse. This was Gun Runner’s fifth straight win in Grade 1 races. Gun Runner missed the inaugural Pegasus World Cup last year. He was stabled in mandatory quarantine at the Fair Grounds in New Orleans after an outbreak of equine herpes virus. Gulfstream Park insisted that he pass a blood test and a nasal swab to come to the track. His blood test came back negative but his owners refused to do the nasal swab because the test has a high number of false positives. The cold would have been sidelined for 30 more days if he had tested positive, which would have kept him from other races. Gun Runner retires with nearly $16 million in earnings. His will go to stud in February. Florent Geroux said exiting winner’s circle “I’d give up all the wins just to have my father back with me.” Geroux’s father Dominique passed away suddenly, in France, one month ago. For jockey Florent Geroux, the win was the final in a trifecta of achievements. 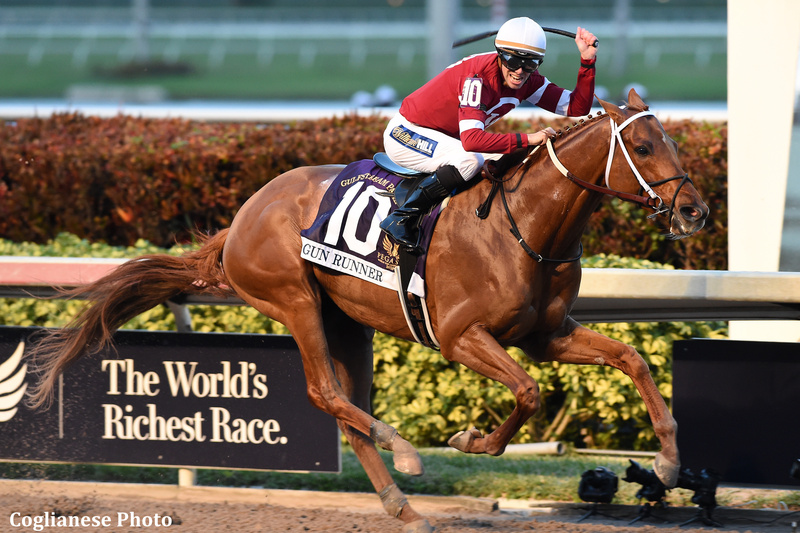 On Thursday night, Gun Runner received the Eclipse Award as Horse of the Year. On Friday, he flew to Chicago where he took — and passed — the oral portion of his citizenship exam, and on Saturday he won the Pegasus World Cup. But for Geroux, the victories were tinged with sadness. His father, Dominique Geroux, a retired jockey and trainer died after a fall on Christmas morning. 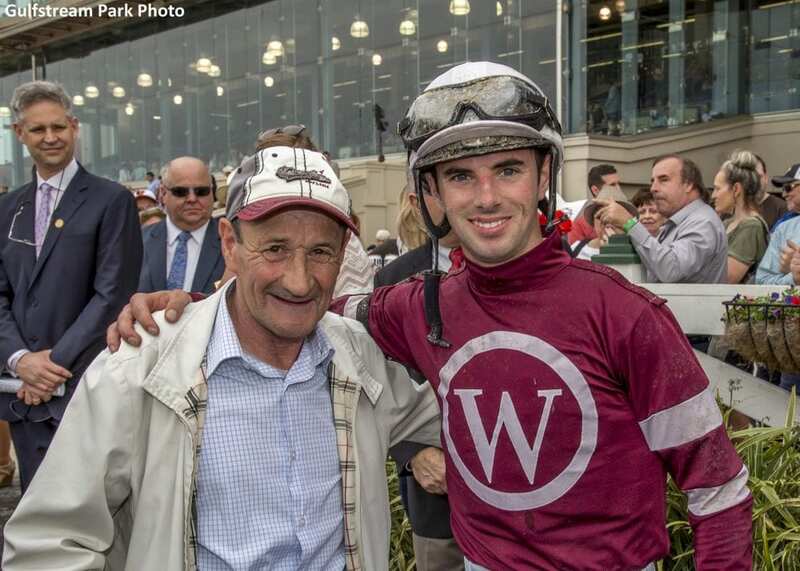 The elder Geroux had planned to come to the US to watch his son ride Gun Runner’s last race.